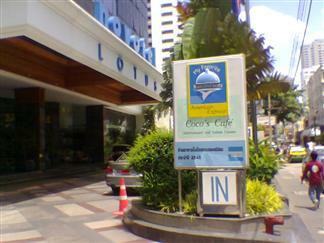 The Bangkok Hotel Lotus Sukhumvit managed by Accor used to be known as the Novotel Lotus Bangkok. Not sure of the reason for the name change as it was always managed by Accor. It is one of my long time favourite hotels being centrally located in Sukhumvit Soi 33 and certainly falls into the category of a budget Bangkok hotel. 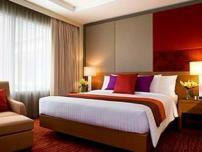 This hotel has clean reasonably sized rooms with all the usual hotel facilities. It has a great breakfast selection, but one of the reasons that I stopped going was that they ceased including breakfast in the room price that was offered. Another 500 Baht on top of the room price, just for breakfast, made other places better value for money. 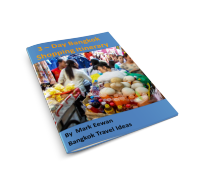 Looking at their recent prices this can still be considered by those looking for budget accommodation in Bangkok as the prices are still very cheap (but still not inclusive of breakfast). If you like swimming, then this hotel has its own rooftop pool that is empty most of the time, which is something that most people can appreciate. The swimming pool's aspect means that it is sunny in the morning and then it gets the shadow of the hotel in the afternoon, which is ideal. 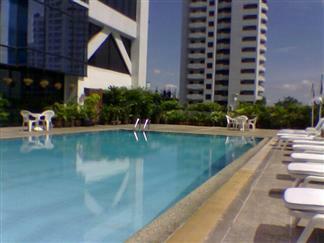 The hotel is located on Soi 33, just a few minutes walk to the Phrom Phong BTS station. 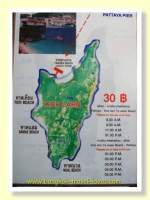 When I say a few minutes walk, I mean maybe 350 metres. As you know the Phrom Phong BTS station is also right next to the Emporium shopping centre so you don't have that far to go to be starting your Bangkok shopping experience. If you are looking for budget accommodation in Bangkok then certainly consider booking the Bangkok Hotel Lotus Sukhumvit on Soi 33. 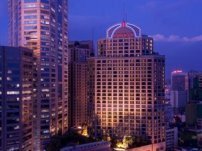 There are plenty of things to do in the immediate area and it is very convenient for shopping, nightlife and transport into the Bangkok city centre. Soi 33 has a range of restaurants and bars where you can go and eat with your buddies or go for a game of pool. One of the upper class restaurants just next to the Bangkok Hotel Lotus is the Oam Thong Restaurant. If you like Thai food then this is one of the finer dining restaurants in Bangkok; but more about this later. Further into the Soi there is Livingstones Restaurant and Tenderloins Sports Bar and Steakhouse. Livingstones combines the Ton Thong Thai restaurant, which is traditional Thai food in an informal seating arrangement around the pool area and also Livingstone's Steakhouse, which I believe is inside. Upstairs and overlooking the pool area they also have rooms available if you don't like the feel of the larger hotels and want something more intimate. The rates are competitive and are worth checking out. Tenderloins Sports Bar and Steakhouse is a little further along Soi 33 and is where you go if you crave some Western food and can't do without your steak and chips for a minute longer. It offers great steaks, a varied selection of wines and a nice ambience. On top of that you get to watch the game on the multitude of TV's whilst you eat.